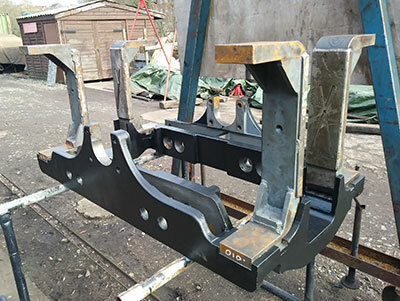 The pony truck axleboxes have gone to Osborne Engineering Ltd. at Cramlington for whitemetalling and partial assembly of the frame for the rear pony truck has started. 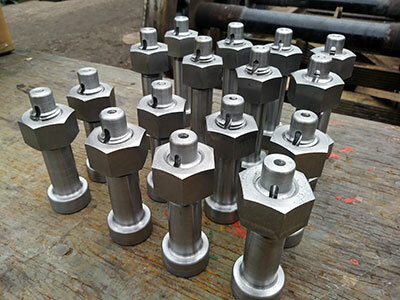 The valve chest cover bushes shown in one of the accompanying photos are also components that require a white metal lining in the bore. 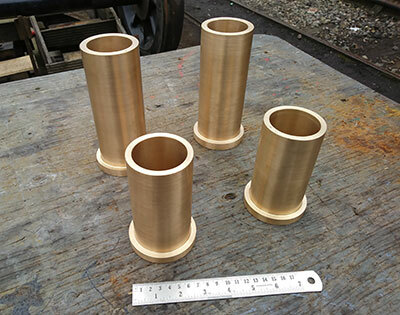 The pressure relief valves for the cylinder end covers are in the course of manufacture with Philip Oldfield Engineering. 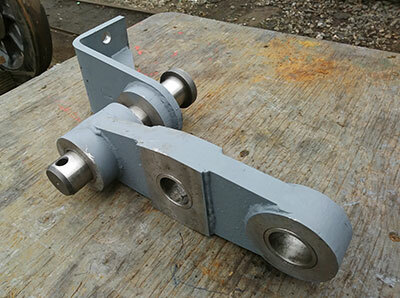 Manufacture of components for the brake rigging continues. 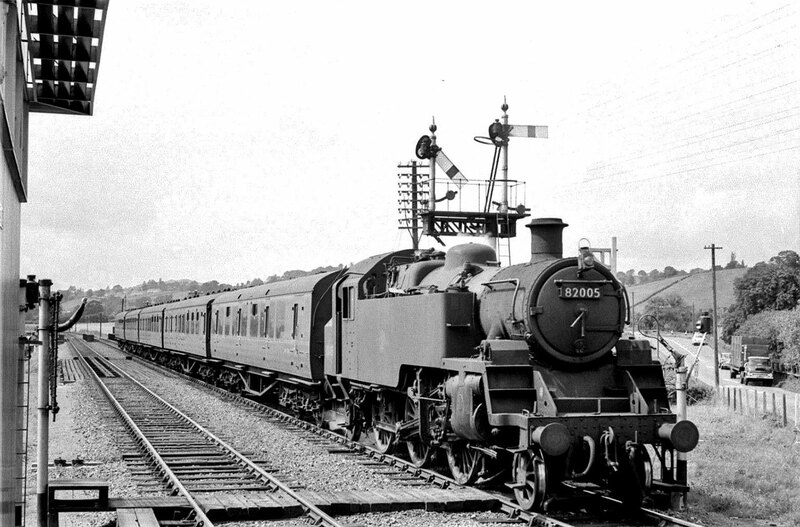 Here's another shot from Neil Evans (Andrew Dykes Collection), this time of 82005 at Buttington Junction c 1962. 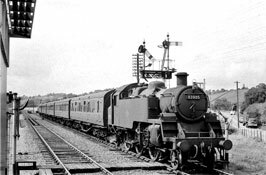 Take a careful look at the loco and let us know if you notice anything unusual. (Click on the image for a larger version). 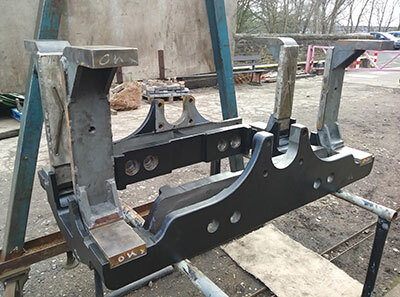 Two views of the rear pony truck frame. Photos: Peter Line. The valve chest cover bushes. Photo: Peter Line. 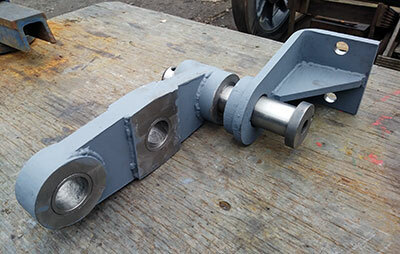 Two views of the hand brake link. Photos: Peter Line. 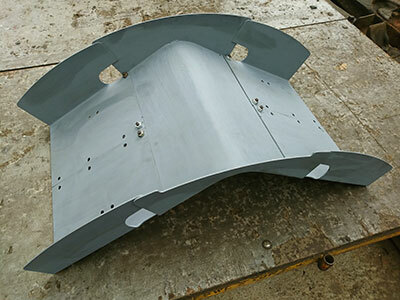 The boiler feed delivery deflector plates. Photos: Peter Line. The bolts for securing the slide bars. Photo: Peter Line.